Toronto artist Christine Davis premieres a slide dissolve piece in this exhibition. In keeping with the title’s allusion to Alice in Wonderland, “Drink Me” is a fantastical scene of disorienting scale. Here figurative images are projected onto a field of oversized plastic flowers in lurid colours, creating a kaleidoscopic effect. 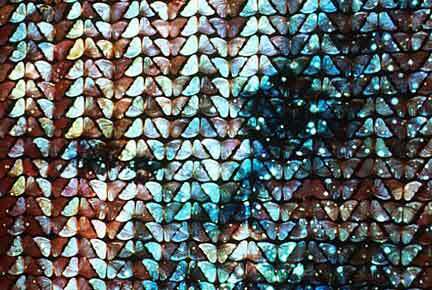 As in her previous projections onto screens of feathers and butterfly wings, this fusion of moving images and surface creates a tactile cinematic experience. As described by the artist, the piece “explores haptic space where a thickening of the image occurs through the convolution of support and surface, interior and exterior, matrix and optics.” Christine Davis brings to this piece an enduring interest in questions of identity and representation. Here she uses fiction as a way to prefigure autobiography. Her early photo-based art from the 1980s and mixed-media installations from the 1990s often incorporated text. In 2000 she began to produce time-based projection works that reveal her strong sculptural sensibility. In addition to these moving picture installations, she also continues to make still photographs. Christine Davis was born in Vancouver in 1962 and lives in Toronto. She studied at York University in Toronto. She has exhibited across Canada and abroad since the mid 1980s and is a founding editor of the journal, Public. Her time-based projection works have been exhibited at The Power Plant, Toronto; Canadian Museum of Contemporary Photography, Ottawa and the Montreal Museum of Fine Arts. She is represented by Olga Korper Gallery, Toronto. Presentation House Gallery published a catalogue in conjunction with the exhibition featuring an essays: by critics Barry Schwabsky and Janine Marchessault. 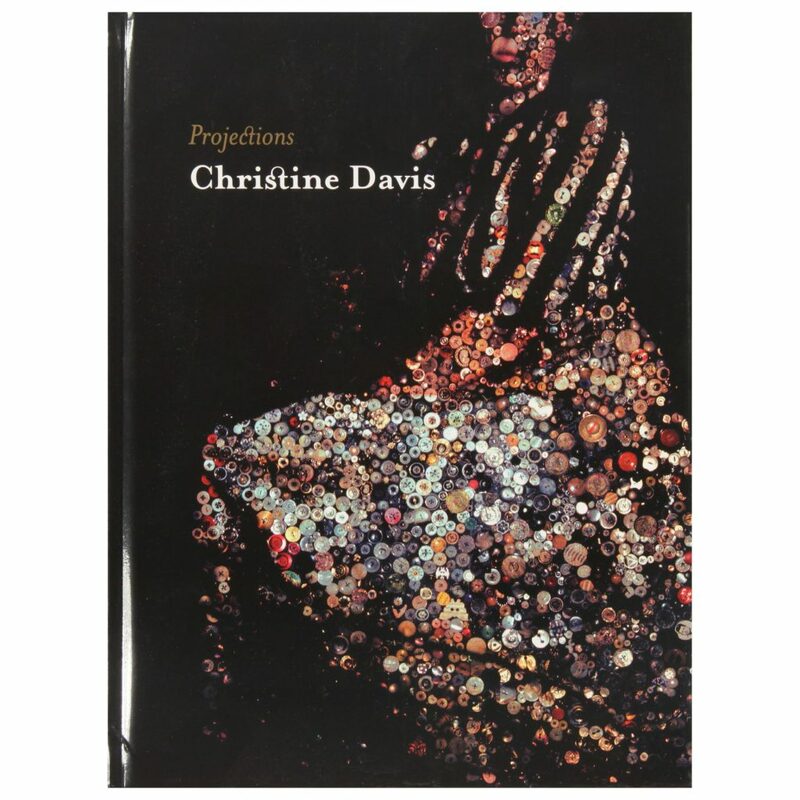 The publication showcases the works of Toronto artist Christine Davis. 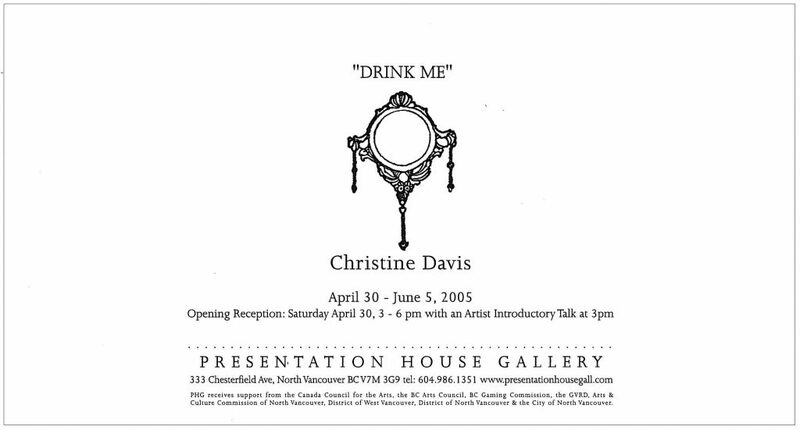 Our 2005 exhibition premiered a slide dissolve piece, Drink Me. 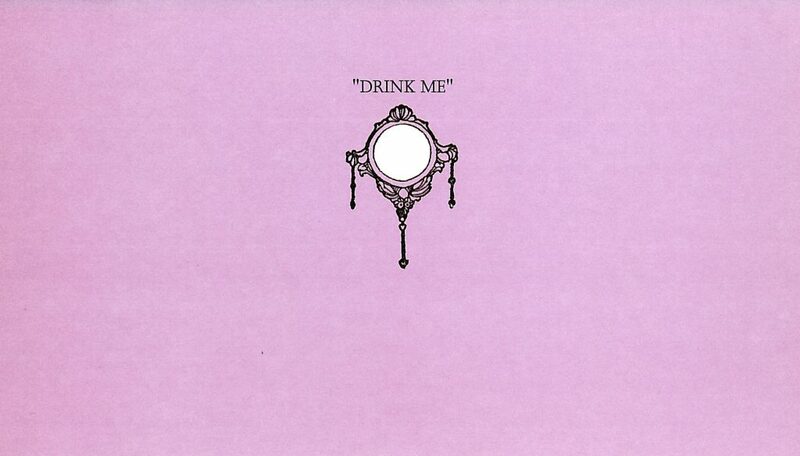 In keeping with the title’s allusion to Alice in Wonderland, Drink Me is a fantastical scene of disorienting scale. Here figurative images are projected onto a field of oversized plastic flowers in lurid colours, creating a kaleidoscopic effect. As in her previous projections onto screens of feathers and butterfly wings, this fusion of moving images and surface creates a tactile cinematic experience. As described by the artist, the piece “explores haptic space where a thickening of the image occurs through the convolution of support and surface, interior and exterior, matrix and optics.” Christine Davis brings to this work an enduring interest in questions of identity and representation. Here she uses fiction as a way to prefigure autobiography. Her early photo-based art from the 1980s and mixed-media installations from the 1990s often incorporated text. In 2000 she began to produce time-based projection works that reveal her strong sculptural sensibility. Intoduction by curator Helga Pakasaar. Essays by Barry Schwabsky and Janine Marchessault.